At Rice & Noodles and Sprout, we believe that food should be fresh, flavorful, satisfying, uncomplicated and should convey the chef’s love of cooking. 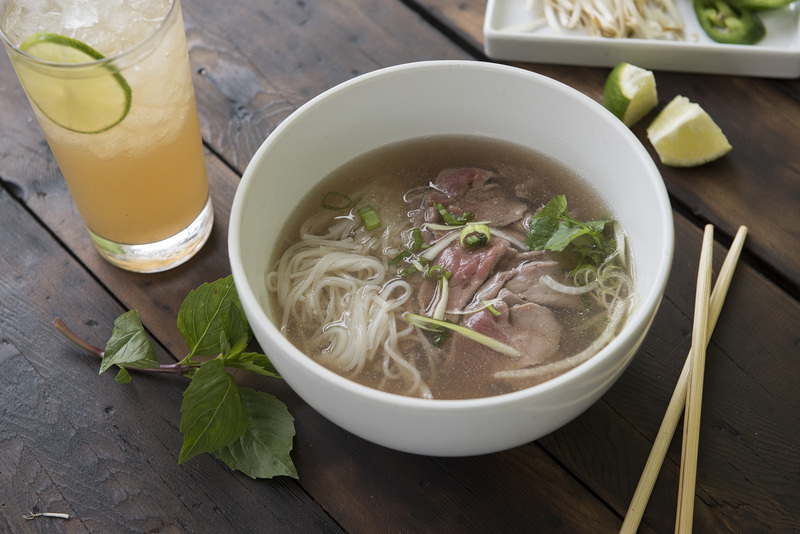 Our chefs prepare authentic Vietnamese foods such as fresh spring rolls, french bread sandwiches, entrée salads, soups, rice platters and a variety of noodle dishes. We also offer a large selection of homemade desserts including French macarons, che and flan. We are a 3rd generation Vietnamese eatery that uses fresh and local ingredients. Our mission is to be Lancaster’s choice for simple Vietnamese cuisine for our guests and their families. We are proud to provide a casual, relaxing and fun atmosphere. Fresh food, high energy and honest, friendly service are the keys to our success. We want to be the pioneer and the catalyst that opens the taste palates of those who have never experienced authentic Vietnamese cuisine at reasonable prices. Rice & Noodles opened in July of 2006, almost a year after Hurricane Katrina destroyed the successful Vietnamese restaurant chain of owners Vy Banh, her husband Ninh, her sister Alys Truong, Alys’ husband Bernard, and their brother Khoa Cao. Due to the storm and devastating flood, their entire family was forced to evacuate from New Orleans and seek refuge with an aunt, Nga Buu, in Lancaster, PA. In April of 2016, Rice & Noodles opened a second location named Sprout of Rice & Noodles in the historic downtown Lancaster City. The history of their successful restaurants began in the 1960s, when their grandfather opened 13 restaurants in Vietnam under the name of Pho Tau Bay. Due to the fall of Saigon in 1975, the family was forced to flee to the United States for a better life and a new beginning. In 1982, Khoa, Vy & Alys’ parents, Chau and Anh Thu Cao, along with a brother-in-law, opened the first Vietnamese restaurant in New Orleans, LA. They chose the same name that Anh Thu’s father used in Vietnam, Pho Tau Bay, simply meaning “Flying Soup Boat.” It was an immediate success due to the thriving Vietnamese population in New Orleans. By 2001, Ninh, Vy, and her mother opened the second Pho Tau Bay Restaurant in Metairie, LA. In 2004, with their marketing and business degrees, Bernard and Alys decided to join the family business in order to build a bigger and better empire. By 2005, the family ran 3 of the 4 most successful Vietnamese restaurants in the Greater New Orleans area. All of their restaurants suffered substantial damage due to Hurricane Katrina. It was so hard for the family to believe that in one day their lives would change forever. 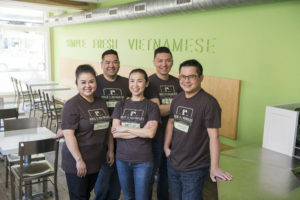 With the continued support of their parents, family, friends and wonderful customers, both Rice & Noodles and Sprout Vietnamese Eatery have made a mark in the dining scene of Lancaster, PA.